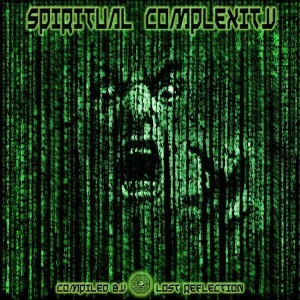 Compiled by Lost Reflection, Spiritual Complexity is a new collection of night-time psychedelic hits from Helicon Sound System Records, Greece. The accompanying epigram reads: “This is the world that you know. It exists now only as part of a neural interactive simulation that we call ‘the Matrix'”. Mastering by N.O.M @ N.O.M Studios with artwork by Nick Mantzaris. MP3 Download | FLAC Download | WAV Download · Download count: 5,252. That’s it. You can’t go much further. Nightime big festivals, ultimate form of joy. I don’t think it’s exactly fair that albums like get rated so much lower just because they are psycore, when in fact many of them are absolutely consistent and powerful in quality, when psydub and psybient albums get 95% averages just because there are few people on the site who dislike that style or will vote it down. nbomes are frightening chemicals if you ask me and Altius – nbome is a suitably unsettling and powerful psychic vibration! massive track. The Matrix? That’s a big step for man and a little step to focking humankind.